The only text in the market written specifically for Diploma of Nursing students in Australia and New Zealand. 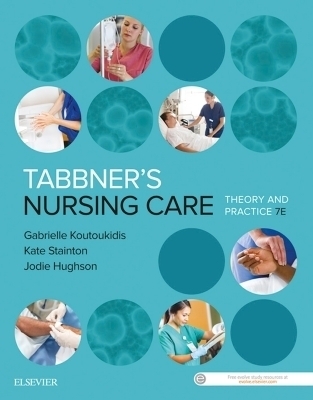 Written by Gabrielle Koutoukidis, Kate Stainton and Jodie Hughson, Tabbnerâ€™s Nursing Care: Theory and Practice, 7th edition, provides a solid foundation of theoretical knowledge and skills for nursing students embarking on an Enrolled Nurse career. Reflecting the current issues and scope of practice for Enrolled Nurses in Australia, this new edition focuses on the delivery of person-centred care, emphasises critical thinking throughout and demonstrates the application of the decision-making framework across multiple scenarios.